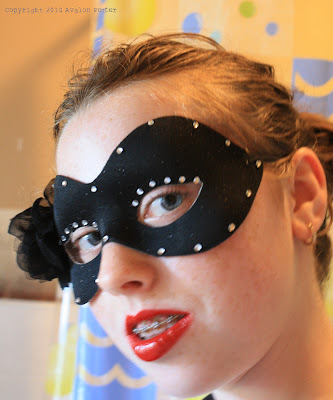 I was really impressed when Avalon showed me the mask she created and the outfit she styled to go with it! Tres chic, n'est pas? I must admit, seeing my little girl look so sophisticated and grown up was a little tough to take, but I'm so very proud of her creativity. Here's this week's fabulous teen craft created by the lovely and talented Avalon Potter! 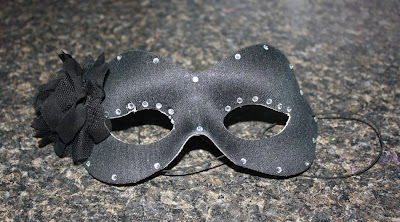 Since I created an invitation to a Halloween masquerade ball last week, I decided that this week I would make a mask for the ball. Every girl needs a sparkly mask to complete her fabulous ensemble. This is a great project because you really make it your own, for example you can switch up the pattern or size of the crystals or you could even change the color pallet of the mask. I had a lot of fun making this and I hope you will too. Step 1. 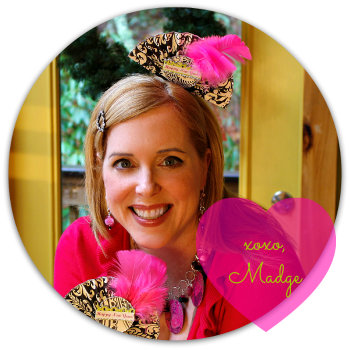 Once you have gathered all of your materials get your mask, hot fix crystals, and applicator. Plan out where you want your crystals to go so you know where to apply them ahead of time. Step 2. Apply crystals using your applicator. Designer Note: If your mask is plastic or made of plastic do not use the applicator it will melt the mask. Use Liquid Fusion glue to apply the crystals instead. Step 3. Once you have finished applying your crystals, decide where you will want your fabric flower to go. I put mine in the upper corner of the mask. Step 4. 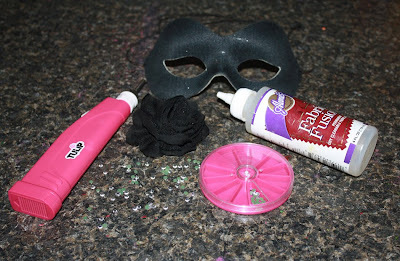 Use Liquid Fusion to glue the flower to the mask. Step 5. Allow glue to dry. 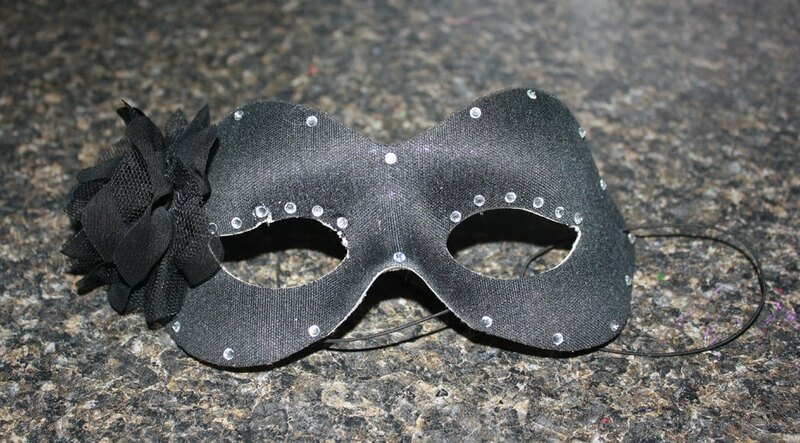 Once you finish you’ll have a beautiful mask to complete your costume. Wow. What a lady she is becoming. Love the styling. Great project Avalon! Seriously good job Avalon! Love the whole ensemble. I love classy costumes and this is surely one. Love that mask.